I have a friend who works as a barista at a major coffee chain. She was once telling me stories of difficult people and how she had ways of “punishing” customers for being so rude. I couldn’t help but burst out laughing when she told me this: If someone is rude to her while ordering a drip coffee, she’ll give them decaf instead of regular. [Mind Blown] – Decaf being used as a punishment. The theme of “Decaf is a punishment” carried over into my life for years. I “hated” decaf for all the “facts” I knew about it. SO when I impregnated my wife Katelyn two-three years ago, I felt horrible when she had to make the switch from caffeinated coffee to decaf. Katelyn and I would make two separate pots of coffee, as I refused to venture into that “gross” and “disgusting” drink, often apologizing for my role in her pregnancy due to the coffee switch she had to “endure.” Katelyn, who seems to always know when I’m being ignorant, just laughed and waited for the day I would come around, as I have on so many other issues I had false beliefs on. Despite my strong beliefs about decaf, my viewpoint began to change at some point between going to the 2013 Coffeefest (that we had the privilege of being a part of) and introducing our very own decaf coffee last month. During that time period, I began to test my beliefs about decaf after seeing my wife thoroughly enjoy it, even prefer it most times [Side note: My wife has very high end taste – Style, Food, Life- so seeing her enjoy decaf was like having two worlds collide]. Below are some of findings on decaf – a FACT or FICTION scenario. The second type of coffee drinker is “The Connoisseur” – Someone who enjoys coffee for the depth of the flavors that come from a single cup. Connoisseur’s can enjoy being “the addict” as well, but still place priority on quality vs addiction. If you fall into this category, the next question you have to embrace is the “quality” of the coffee you drink. If your coffee lacks flavor, or depth. If it is burnt, or under roasted, then you’re going to be disappointed if you’re the connoisseur. You’re going to find it gross. Yet, it doesn’t matter if it is caffeinated or decaffeinated. What matters is “that coffee is gross…” This has nothing to do with the decaf, but rather the quality. Now take a cup of coffee that is rich, full of flavor. The person sipping it remarks at the flavors and how smooth, enjoyable the cup is. That coffee does not matter if it has caffeine or not – What matters is that the quality hit the expectation it was supposed to and thrilled the person who held this cup. In this scenario, the statement “Decaf is gross” is FALSE. 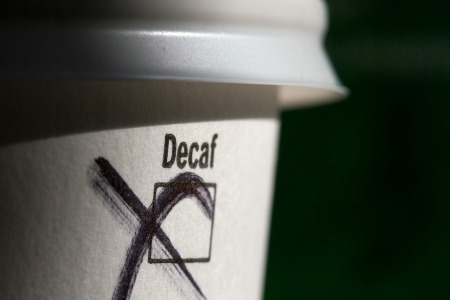 So is Decaf “Gross”? Looking at coffee as a whole for the flavor, not the caffeine, you have to go examine the QUALITY and not the caffeine level to decide if a coffee falls into being gross…. 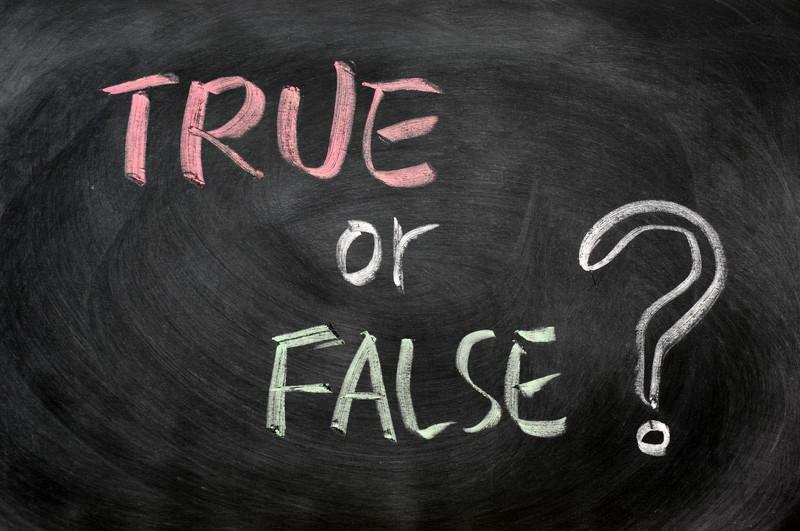 True or False: The decaffeination process is unhealthy! Over the years, there have been varying methods to decaffeinate coffee. Back in the late 1800s and early 1900s, there were some definite unhealthy methods. However, this is 2014!! So let’s dive into the methods. The Indirect Contact Method (AKA: The Swiss Water Method) – In this process, the beans are cleaned and hydrated with fresh water. The beans are then placed in a chamber and a counter current extraction process begins using no chemicals, only fresh water. The process traps caffeine, oils, and flavors through various filters, extracting 99.9% of the caffeine that was in the bean originally. After the caffeine is removed, there is a two-step process to return the oil and flavor elements into the bean. The bean is then dried. The Direct Contact Method – In this process, the bean is filled with water. The water is used to enable the green coffee bean to steam for approximately 90 minutes. Once the bean has swelled from the steam, a solvent (methylene chloride, ethyl acetate, or an activated CO2) is used to extract the caffeine. After the solvent is added, water is flushed thoroughly throughout the chamber prior to drying to eliminate any solvent. You may ask “How do I know the solvent was removed completely?” After the final washing, the bean is again steamed; Only this time, the bean is steamed for upwards of 10 hours to ensure there is zero solvent left. The bean is then dried back to its normal moisture. If that isn’t enough for you, that’s good news, because THERE IS MORE! Once the bean begins to roast, the heat from the roaster guarantees to eliminate any last potential there is for that solvent. Despite it being a ‘process’ to decaffeinate the bean, it is indeed safe and healthy. Both decaffeination processes, depending on the quality bean and proper roast, have the potential to be an amazing coffee. So when you hear “The decaffeination process is unhealthy,” you can ask, “What TYPE of process is it?” and say, “Actually – No, it is a safe process for drinking coffee” and heres why! True or False? Decaf has zero caffeine. FALSE! This is actually well-documented. A normal cup of coffee (8 oz) can contain 95-200 mg of caffeine once brewed. A cup of decaf coffee will have 2-12 mg’s of caffeine. Did you know, though, that a can of Coca-Cola has 31 mg’s of caffeine? So three cups of decaf coffee could equate to can of Coca-Cola. The decaffeinated standards in the United States require 97% of the caffeine to be removed from the bean. In Europe, that requirement is changed to be 99.9% removed – So the United States does allow for more caffeine in their decaffeinated coffee than that of Europe. True or False? Decaf is very bland, no flavor. 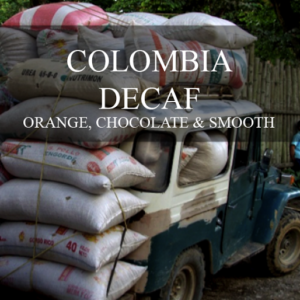 Our Colombian Decaf has a strong orange, chocolate smoothness in each cup. We chose this decaf from the direct contact method to ensure we lost no attributes from the original bean, ensuring only the best quality and taste are in your coffee mug. So “Decaf is very bland, no flavor” is FALSE! Are there decaf coffees that are bland? Absolutely… But refer back to the QUALITY discussion earlier. Don’t believe me? Order a bag NOW– If you can’t taste the amazing flavors, we’ll refund you! Did we change your mind about DECAF? Or do you love DECAF and want the world to know that the rumors are false? Use the link below to share the story! Have other Decaf “RUMORS” or questions? Hit us below in the comments and we’ll track down an answer. In the meantime, don’t believe all the rumors until you’ve checked the facts!